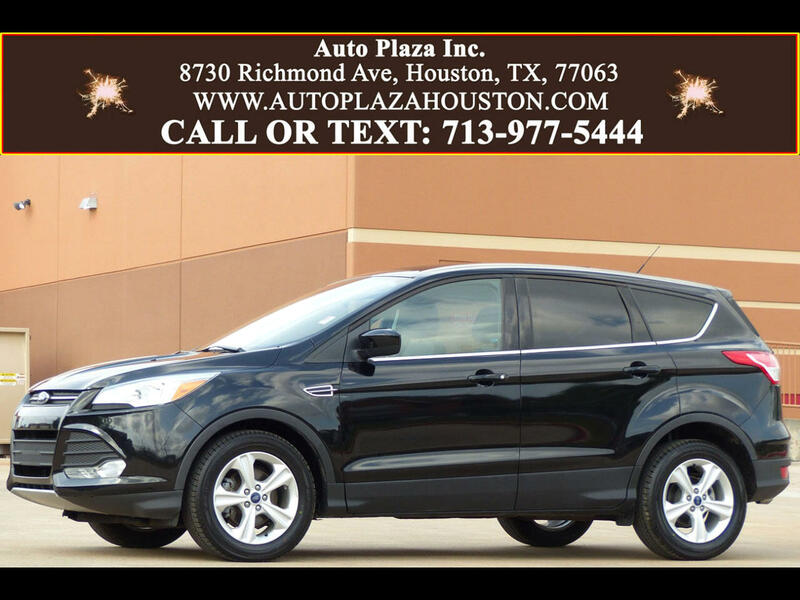 Used 2016 Ford Escape SE FWD for Sale in HOUSTON TX 77063 Auto Plaza, Inc.
Presenting this ONE OWNER 2016 Ford Escape SEL TURBOCHARGED EcoBoost with a Slick 6 Speed Automatic Transmission!! This Vehicle screams SUCCESS, with its Advanced Engineering, Seductive Styling, and Advanced Technological Features. Options include, but are not limited to 17' Alloy Wheels, Rear View Camera, Bluetooth Handsfree, CD/MP3 Player, Aux and USB Input, Traction Control, ECOBOOST Engine, California Emissions System, Steering Wheel with Audio and Cruise Controls, Keyless Entry, Fog Lamps, Tire Pressure Monitor, Power Locks, Power Windows, Rear Defroster, Dual Front Air Bags, and More! This is a GREAT SUV for Individuals who like to go on Road Trips or for those with a FAMILY concerned with adequate space and comfort for the children!! So, CALL NOW to schedule a TEST DRIVE! Financing Available.